The Product Owner represents the interests of the stakeholder community to the Scrum Team. He/she ensures clear communication of product or service functionality requirements to the Scrum Team, maintains a dual view, understands and supports the needs and interests of all stakeholders, while also understanding the needs and workings of the Scrum Team. Product Owner must understand the needs and priorities of the stakeholders, including customers and users, and hence this role is commonly referred to as the Voice of the Customer. Responsibilities of a Product Owner include determining the project’s initial overall requirements and kicking off project activities; this may involve interaction with the Program Product Owner and the Portfolio Product Owner to ensure that the project aligns with direction provided by senior management. He represents user(s) of the product or service with a thorough understanding of the user community. He secures the initial and ongoing financial resources for the project, focusing on value creation and overall Return on Investment (ROI) and assesses the viability and ensures the delivery of the product or service. He also defines the Project Vision and helps get funding for the Project, helps finalize Scrum Master for the project and identifies Stakeholder(s), helps develop a Collaboration Plan and Team Building Plan with Scrum Master(s), creates Epic(s) and Personas, prioritizes Prioritized Product Backlog Items, defines Done Criteria, creates Release Planning Schedule, helps determine Length of Sprint, helps create User Stories, defines Acceptance Criteria for every User Story, approves User Stories, facilitates Scrum Team and commit User Stories, explains User Stories to the Scrum Team while creating the Task List. He also provides guidance and clarification to the Scrum Team in estimating effort for tasks, accepts/Rejects Deliverables, provides necessary feedback to Scrum Master and Scrum Teams, updates Release Plan and Prioritized Product Backlog, helps deploy Product Releases and coordinates this with the customer, participates in Retrospective Sprint Meetings. Transforming customer’s ideas into tangible product deliverables: Prioritizing features is not always easy and may involve trade-off decision making. Convincing/achieving consensus among all stakeholders for every decision is tricky. Product Owner needs to be in control and trusted by the stakeholders to effectively play his role. Be available when additional inputs are required by the team: The Product Owner needs to achieve consensus among various stakeholders and keep them in the loop. Product Owner may be involved in business value related activities that may keep him occupied.The Product Owner may not be always available at the team location. Plan release and sprints to deliver maximum value at the earliest: The balancing act that the Product Owner plays between the Scrum Team and the Customer is a delicate one. 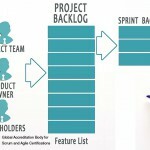 The Scrum team may prefer a Release Planning Schedule and Sprint lengths which may differ from what the customer wants. It’s the Product Owner’s job to ensure that the maximum value is delivered as early as possible ensuring better ROI to the customer. Articulating the customer’s requirements and project goal to the team: The Scrum Team may not have the requisite domain expertise of the customer’s field. 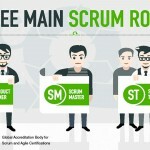 The point of view of the Scrum Team’s and the Customer’s may tend to be different. Having clearly defined Acceptance Criteria for all functionalities is challenging but an essential requirement for high quality project deliverables. Aligning the Scrum Team with the customer’s requirements: The team is composed of technical professionals and may have a skewed perspective from the business side/stakeholders. The team faces different constraints than those faced by those focusing on business value. The team may be in a different location and may be far removed from the users/customers. Provide timely and constructive feedback to the team to improve quality of deliverables: Honest and transparent feedback is necessary but may not be always convenient to give. Not taking the Sprint Review seriously enough may lead to massive backlog of issues prior to release. Dealing with customers who do not understand the process of Scrum: Customers may be invested in traditional project management techniques. Customers will want to nail down scope, budget and time. Customers may have little or no exposure to Scrum, leading to misconceptions and false expectations. Customers may not appreciate the principles and concepts behind Scrum. Why the Product Owner is important in Scrum? Importance of Product Owner in Scrum?